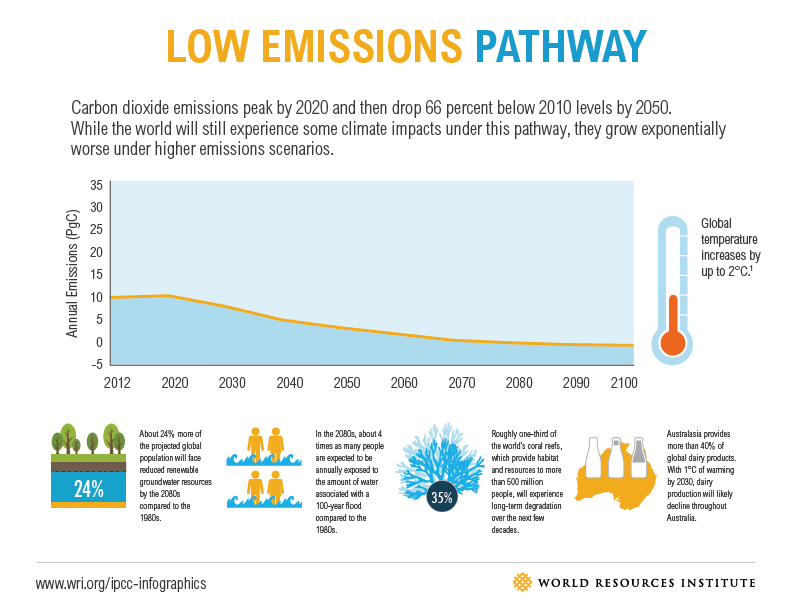 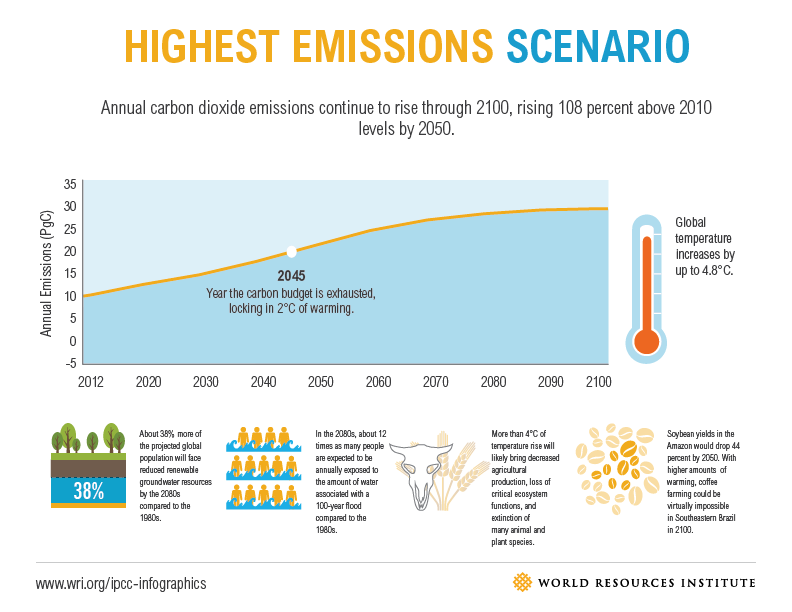 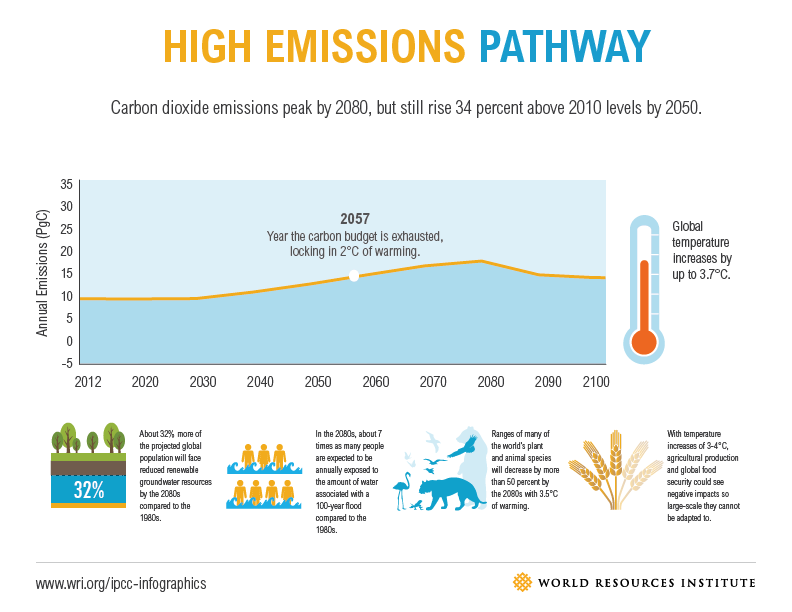 This infographic, based on IPCC data, depicts the likely consequences of various emissions pathways ranging from a low-carbon future to a fossil fuel-intensive one. 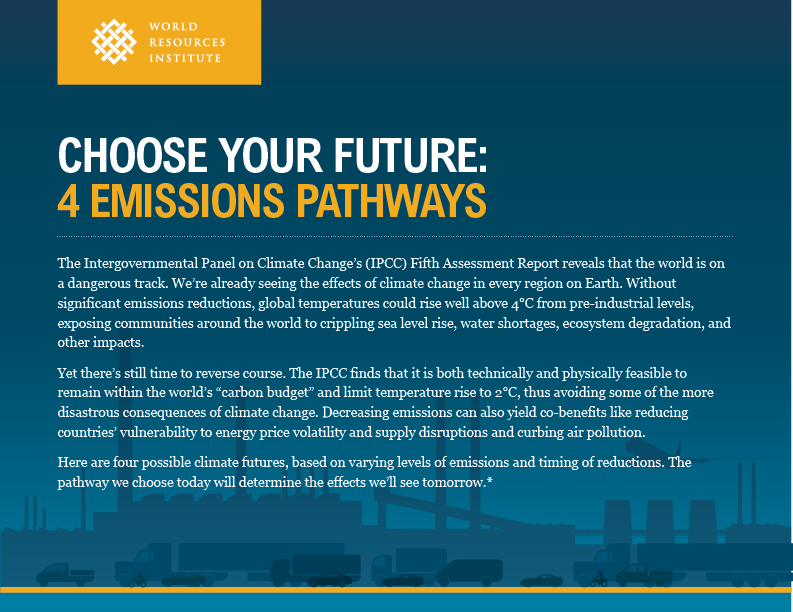 Alongside each pathway, known as a “Representation Concentration Pathway,” we show what the future might hold in terms of climate impacts—ranging from temperature increases to precipitation changes to ecosystem degradation. 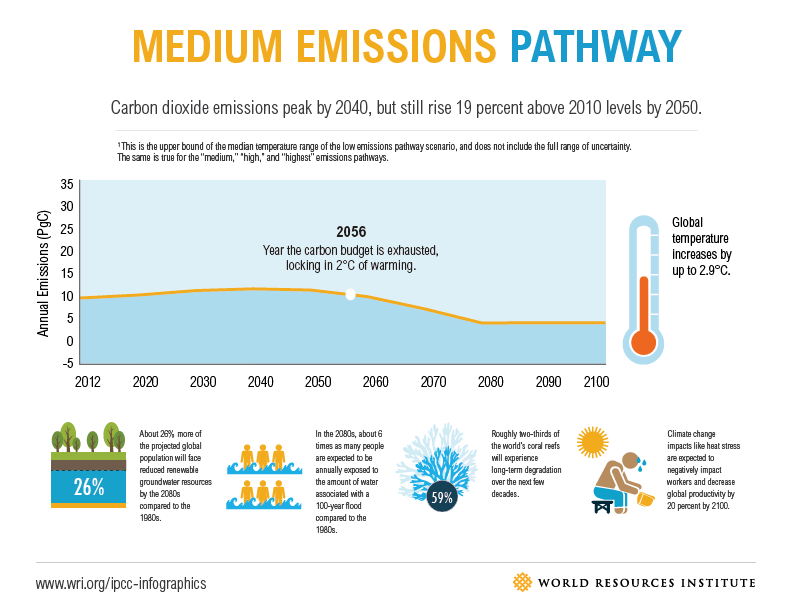 Sources for this infographic are here.